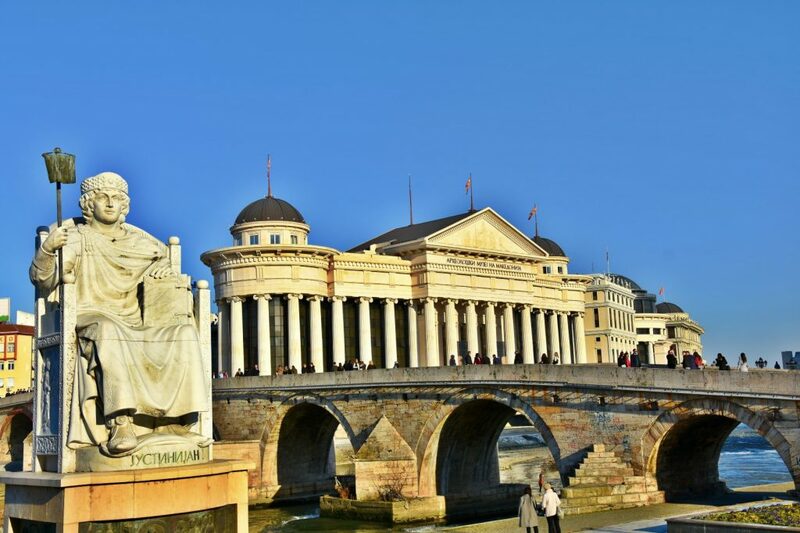 Skopje is the capital and the largest city of the Republic of Macedonia located in the north of the country on an elevation of 240m above the sea level. It is situated in the center of the Balkan Peninsula and halfway between Belgrade and Athens. The capital has around 500.000 inhabitants and the majority is Christian Orthodox. 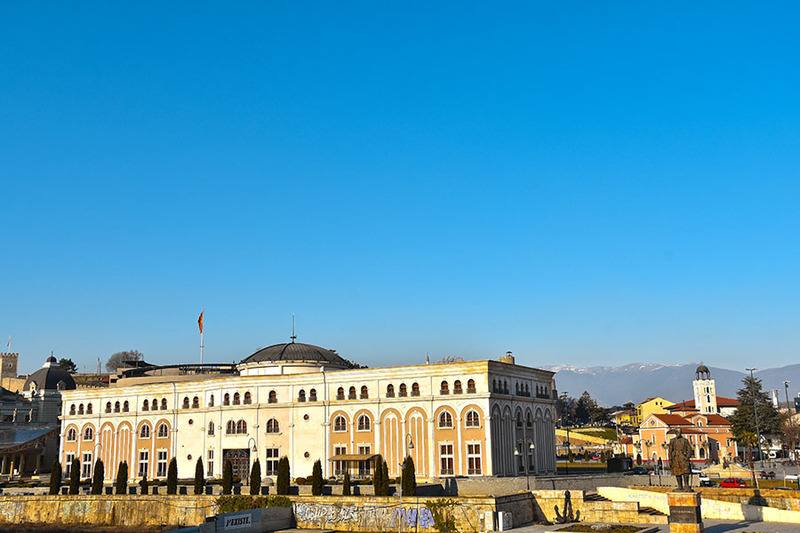 Skopje is the cultural, educational, political and economic center in the country. During the Roman times was named Scupi, meaning “observer” related to its position on a high place from which the whole place could be observed. Many civilizations left their traces in the city and its remarkable environment. Skopje will always stay remembered as the “city of solidarity”, when many nations were donating to rebuilt the city after the devastating earthquake in 1963. Today, Skopje is known as “city of monuments”, as a result of the controversial project “Skopje 2014” that is going to change the entire look of the center of the city. Macedonia’s longest river Vardar that flows in the Aegean Sea divides the city into two parts, the oriental – inherited from the Ottoman Empire and occidental – that includes the modern features of the city. The symbol of Skopje, the famous Stone Bridge that resisted all the misfortunes of the city, is the communication between these separated worlds. 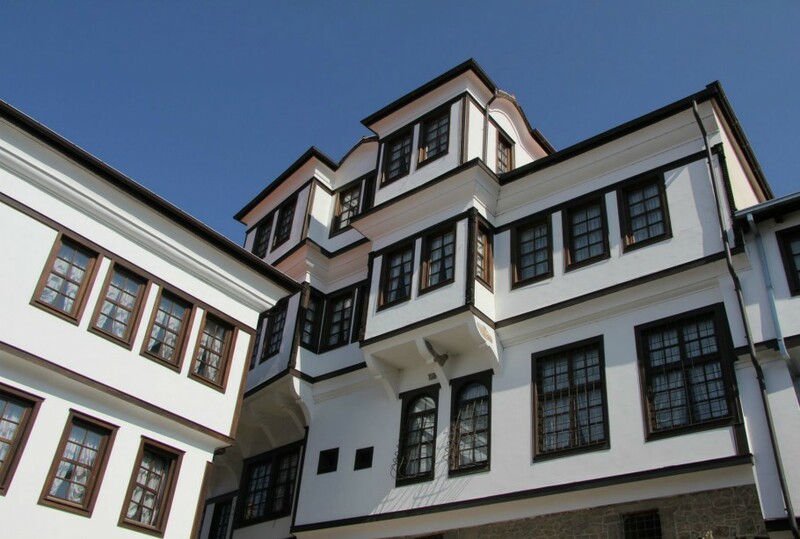 Experiencing the Muslim part of the city means walking through the narrow cobbled streets, getting familiar with the cradle of the traditional crafts, visiting the monuments from the Ottoman period or simply tasting the delicious Macedonian and Turkish cuisine. Modern Skopje means the noise of the crowded pedestrian street “Macedonia”, the square “Macedonia” dominated by the highest statue of Alexander the Great, the marble plaque showing the birthplace of Saint Teresa of Calcutta and the Memorial House dedicated to her life and the numerous cafes and restaurants of all types. The capital is the religious center in the country where the seat of the Macedonian Orthodox Church is located. The Millennium Cross, situated on the top of the Vodno Mountain and accessible by cable car, was constructed to serve as a memorial of 2000 years of Christianity in Macedonia and the world. Skopje includes all the variety of the country. It is a real mosaic of different cultures and religions and together with its environment, deserves to be visited. It consists over 6000 artifacts from different localities all over the country. 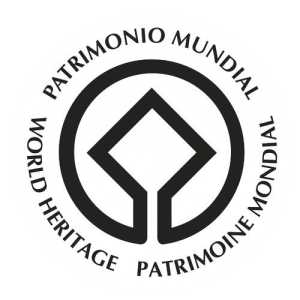 The permanent exhibition is divided into several departments: prehistoric archaeology, ancient archaeology, medieval archaeology and the Ottoman period, epigraphy and stone sculptures, numismatics cabinet, anthropology and archaeology. The Museum of the Macedonian Struggle in 2013, received special recognition from the European Museum Academy for its great achievements in preserving the national heritage and in 2015 it was awarded with a special prize for the innovative way of presenting the exhibits during the “Ziva Awards” manifestation for Best Museum in Slavic countries for 2015. 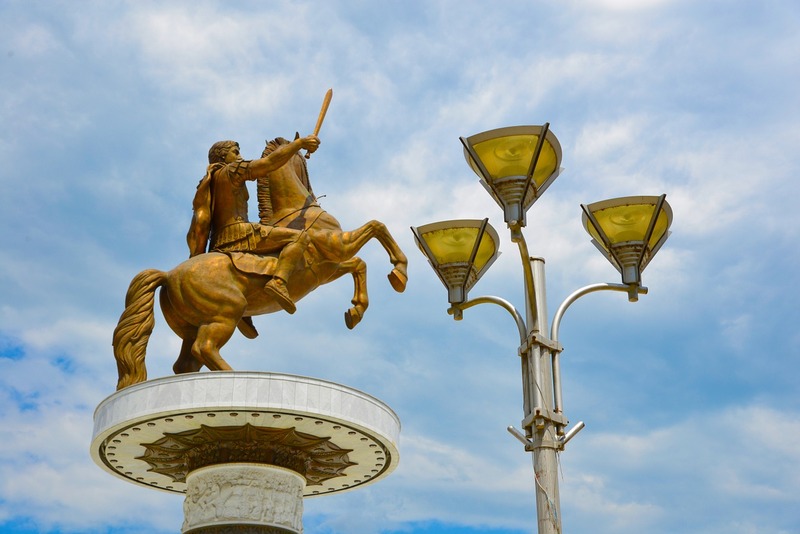 The statue is standing on top of a column pedestal, consists of three large marble sculpture reliefs depicting the victorious battles of the Macedonians. The column pedestal stands in large circular elevated fountain with four steps leading to the walking ring. The biggest part of the museum consists in archaeological collection that presents the archaeological treasure from the region of the city, the most important exhibition is the Golden room. It includes precious antiques, above all the Golden Mask from the 5th century BC, as well as many other gold, silver and glided items found during excavations in Ohrid and the archaeological sites Trebenishte and Deboj.